I'm a bit behind with my St. Patrick's Day decorating. I like to add a few cute decor items on my porch. I'm sharing over at mygrafico.com's party blog. 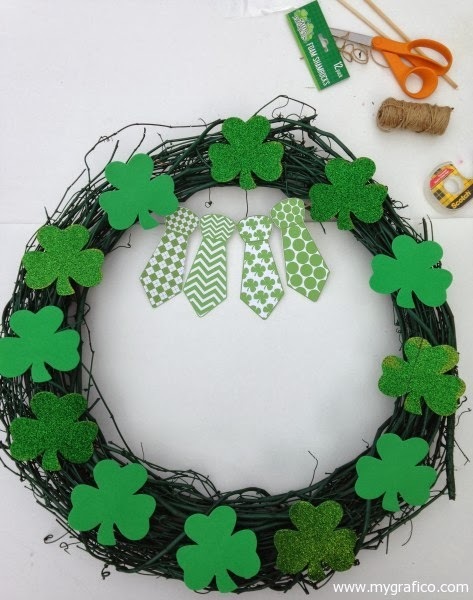 create printables, and complete my wreath. along with my step-by-step tutorial. I'd love for you to stop by, and check it out!